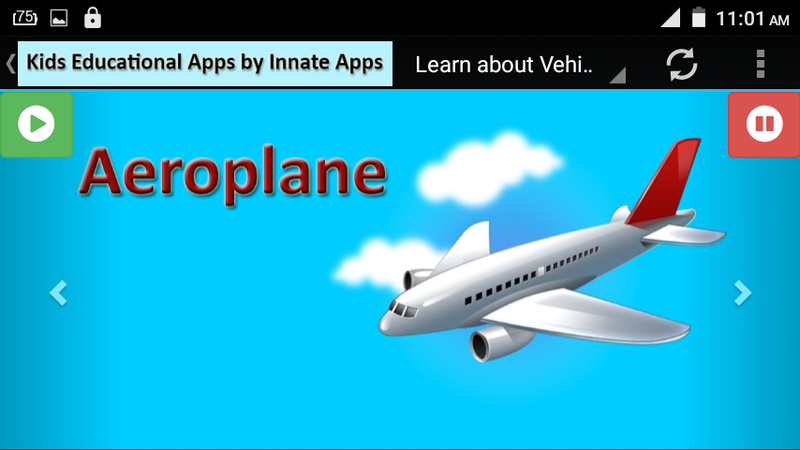 "Learn Vehicle" is an interactive e-Learning app for kids. It is a fun way for your kids to learn sounds and names of the most commons vehicle's and how to speak and spell them. With this game, one will learn to pronounce, spell, and recognize different type of vehicles in a fun and enjoyable way. It contains high quality vehicle images to keep kids entertained. Amazing photos of vehicles will entertain your baby at home, in the car, in the waiting room and in many other places. 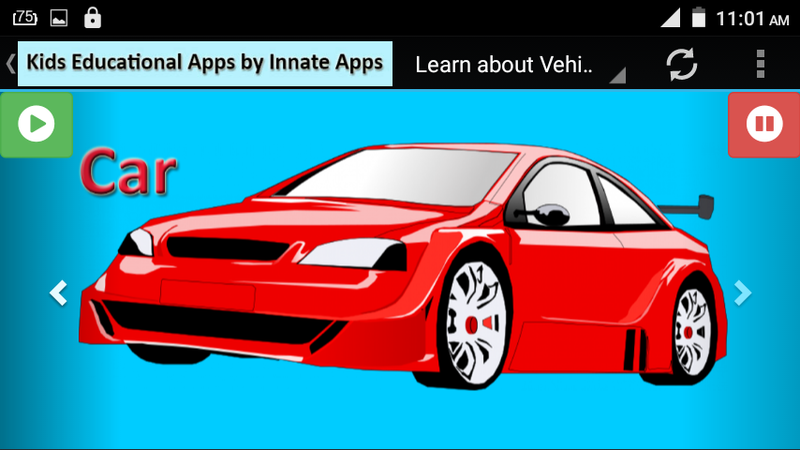 Learn about Vehicles for Kids is an educational app to teach kids about vehicles. With this app, the kids will learn to pronounce, spell, and recognize different type of vehicles in a fun and enjoyable way. It contains high quality vehicle images to keep the kids entertained. 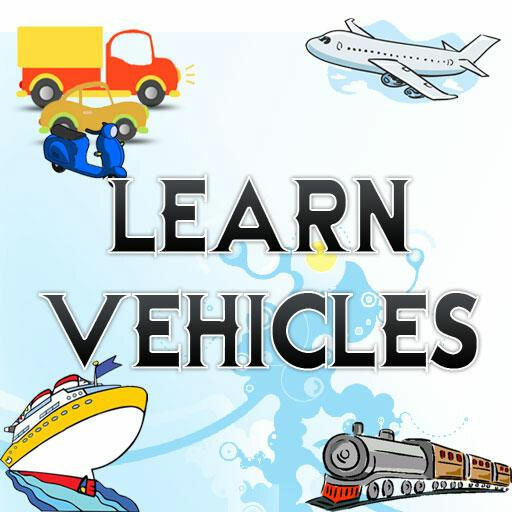 Learn about vehicles for Kids is an educational and entertaining app. Your kids will have lots of fun while learning the names of different transportation tools: car, bus, train, tram, bicycle, ship, truck, motorcycle, airplane, helicopter, tractor etc. All your child has to do is tap on the vehicle block they see on the screen and listen to the name of the vehicle displayed on that specific block. This method helps memorizing the names of various vehicles and also teaches the right pronunciation. This app will help your babies to learn vehicles. 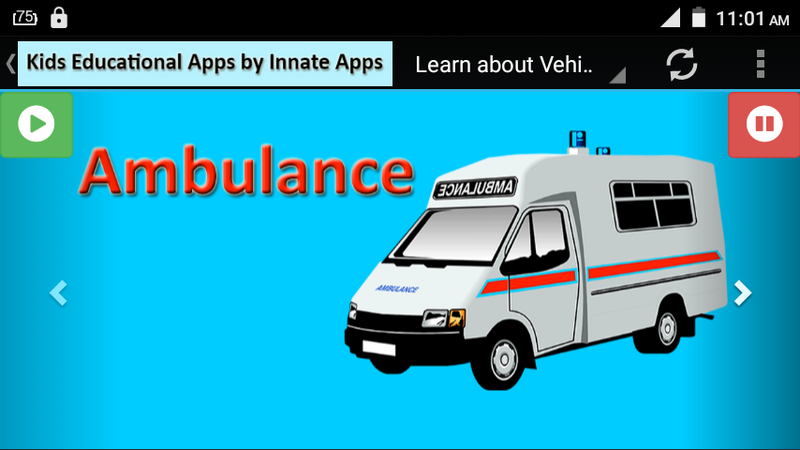 Each vehicle has its own flashcard with beautiful picture and sound. Best free app for preschool education. Toddlers study with fun. A lot of transport flashcards. A great way to learn to vehicle.